Salt Lake City's music scene is populated with more talent than ever. We have the ubiquitous glut of underground strugglers, but also more bands signing deals with bigger indie labels and, failing that, steering their own careers as they navigate interstates in gear-burdened vans. That doesn't always mean they've made it. 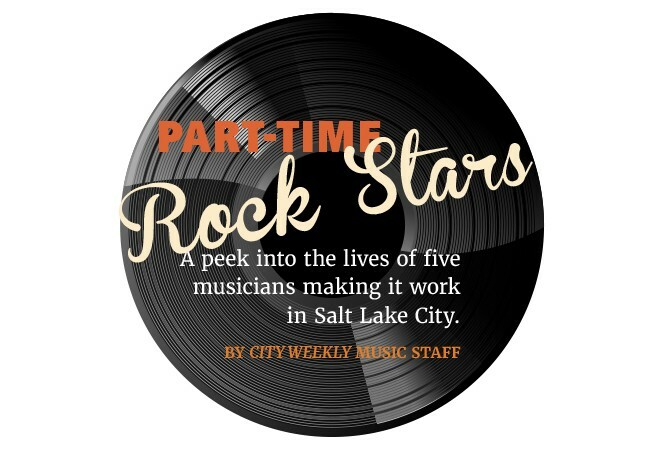 You'd be surprised to learn how many of your favorite non-local bands, after signing autographs in Salt Lake City, return home to part-time jobs or even school. Because everyone in the world wants to do what they love, not what they must, and sometimes that means doing a little of both. 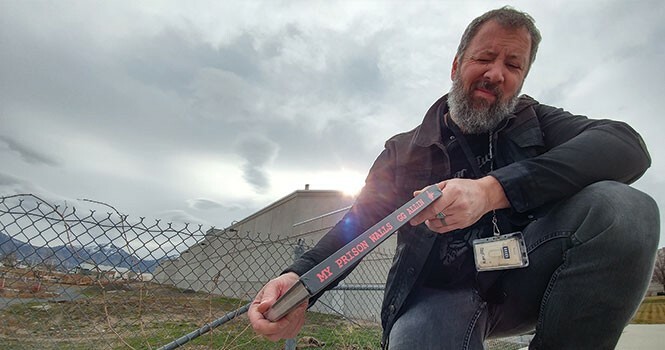 Gentry Densley is known nationally for the bands Eagle Twin and Iceburn, but he still keeps a day job as a librarian at the Salt Lake County Jail. How does he balance work, two bands, a guitar amplifier company and a new baby? "There's a bit of pressure," he tells City Weekly before a Saturday-morning shift. "But I leave it at the gates when I go home." Densley says working with the inmates is rewarding. "I think if they didn't have books and other programs, they might turn inward or turn against each other more. It gives them a kind of escape." His supervisor is mindful of Densley's need for time off to record (new releases are imminent for both bands) and tour—Eagle Twin will cover the U.S., Europe and Australia this year. So far, he's achieved a good balance, finding inspiration in his work. 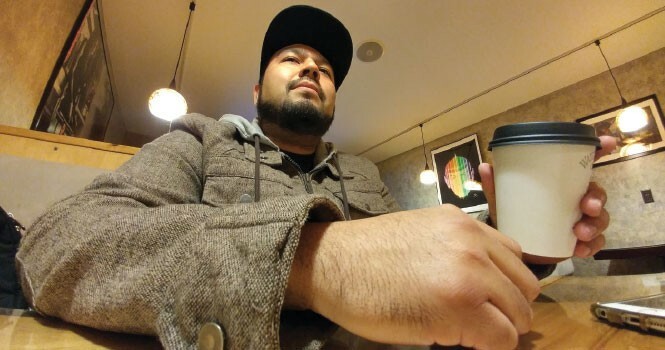 Marco Antonio Garcia could be reading any of the comics on the Watchtower Café shelves. Instead, he studies a textbook. The printer, graphic design student and musician has a 5 p.m. class across the street at Salt Lake Community College. Now 35, Garcia had just started playing music when he left Guadalajara at 18 to join his father in SLC. "I loved it," he says. "But when I got here, it was kinda hard because it wasn't that much of a scene." Alone in his room, he played songs by Latin bands like Soda Stereo and Cuca on his father's guitar. In 2002, an ad in the Spanish-language publication El Semanal led him to join Elemento, gigging at places like Club Mambo in South Salt Lake. When Garcia met Gabino Ramirez and his brother Juan Rodriguez, they, with guitarist Angel Martinez, formed the rock en Español group, Leyenda Oculta. Rapper-artist-designer Erasole James is everywhere and nowhere. He dropped his phone in the Pacific Ocean a couple of weeks ago. He finally sends a Facebook message from a random woman's account, and we connect at The Urban Lounge. Rocking black retro Jordans, items from his own clothing line and a "brand-new" flip-phone, James says how, despite quitting (perhaps losing) his day job, he's one of the hardest-working and well-traveled artists in Salt Lake City. Secily Saunders doesn't remember a time when she wasn't playing music. She spent her formative years in Cleveland and then Orem, performing in the Mo-pop universe that suited her LDS upbringing. "I'm on church soundtracks," she says. "My first real gig was at Kingsbury Hall with Alex Boyé." Although she's left the church, Saunders never left music—it's all she does. 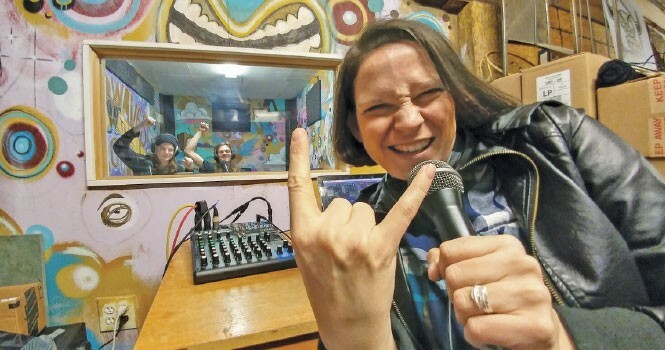 She was the founding music director for Rock 'n' Roll Camp for Girls SLC, and also worked with the Portland and L.A. camps, and plans to become involved with more camps in the future. 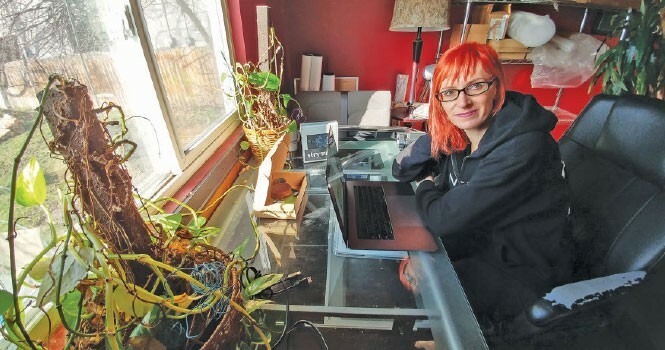 She also helps produce the SLUG Magazine Soundwaves podcast. There's never been a better time to get to know Utah's diverse music scene, she says. SubRosa's Rebecca Vernon has a lot in common with comic book superheroes. By day, she's a mild-mannered proposal manager for Orion Health, where she compiles and assembles information into lengthy business documents. By night, she breathes shadowy un-life into the eldritch compositions that make up SubRosa's dark repertoire. "I always resisted getting a corporate job because I thought it would take away my freedom," Vernon says. "But if it wasn't for my job, we wouldn't be able to do half of the things we get to do." 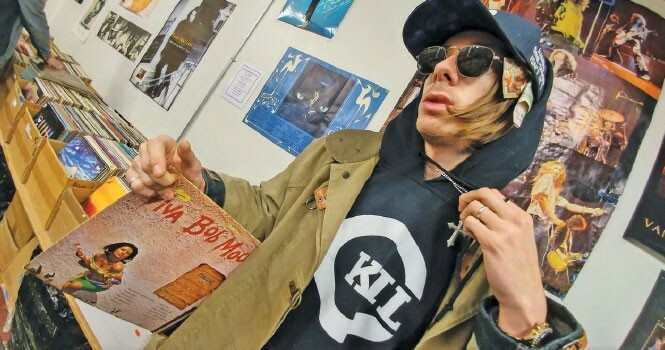 She means touring, mainly—SubRosa goes as far as Russia, where they're bona fide rock stars.